We're in the final design stages for the MozillaMessaging web site update. We'd love some feedback on it. 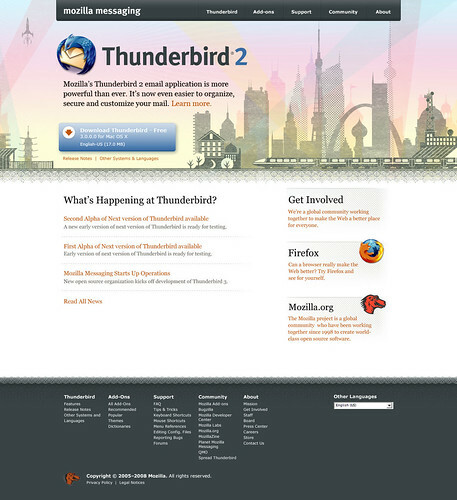 The goals of the MozillaMessaging.com redesign are: 1) Get Thunderbird pages onto MozillaMessaging.com, download, marketing pages, etc. ; 2) MozillaMessaging should be distinct from Mozilla.com but with a consistency to show that it's still all Mozilla; 3) Design should reflect the Thunderbird product current and future, communication, concepts around email; 4) Design should reflect our diversity and International community. Note that future MozillaMessaging and marketing posts from me will be on www.spreadthunderbird.com when we launch in the next coming weeks. 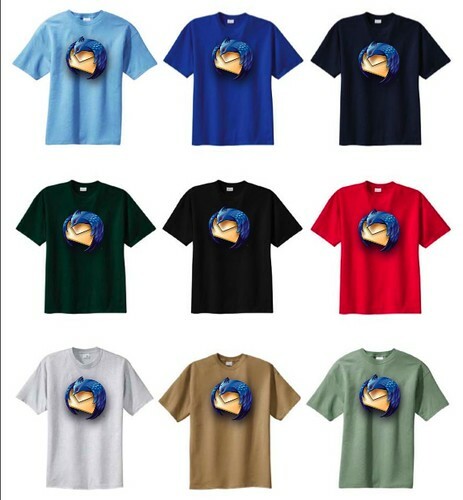 I need some help with the Thunderbird t-shirt. What's your preference for the background color? We definitely need a black Thunderbird t-shirt. I'm leaning towards the dark green and royal blue. 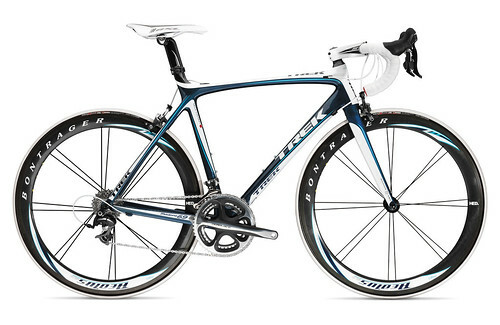 Gorgeous road bike from Trek. It's the Madone 6.9 Pro w/ Dura Ace components with the Aeolus carbon wheels. I love this article [.pdf] from Time Magazine. It breaks down how you can make the most out of your day if you're a morning person or a night owl, assuming you sleep 8 hours a night anyway. In practice, I'm a night owl. But I'm a wannabe morning person and I used to be a morning person and prefer it. The new MacBooks are gorgeous. I have another year or two of useful life on my current MacBook and I normally wait until there's a new OS release to go with the hardware. I'm waiting for the 512SSD too, where the 256SSD then become commodity and shipped as the default drive; maybe end of next year. Regardless, anyone looking for a new computer, I'd go with the MacBook now (but if you can wait, I'd wait until after January, buy stuff from Apple *after* MacWorld). For a PC, I'd go with the Dell XPS M1330.